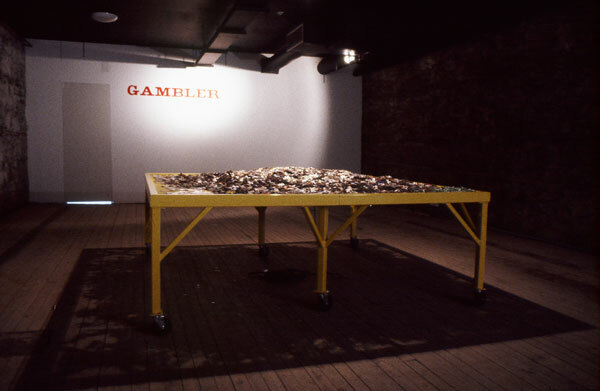 An interactive performance and installation. 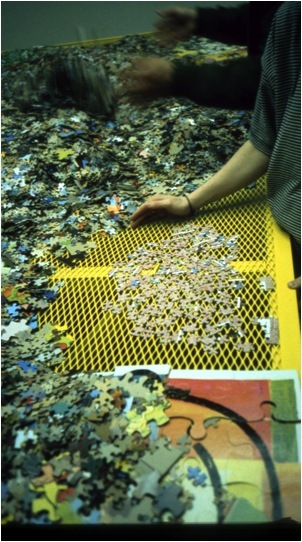 A large 6 foot square metal table with metal mesh top and large caster is covered with thousands of used jigsaw puzzles. 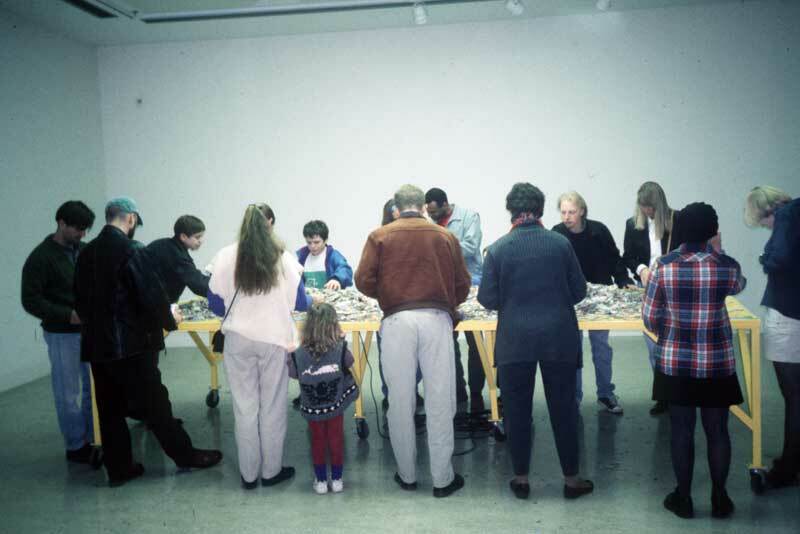 The participants are invited to sort and construct the puzzles.